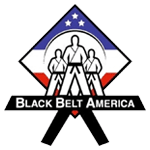 Black Belt America Provides a Supportive Community with Certified Instructors to Help You Achieve Your Goals! Learn from the best Martial Arts instructors in the area who are dedicated to providing a stable, family environment where you can excel in your personal goals and find a varied and supportive community. Whether your plan is to compete, lose weight, meet new like-minded people or increase your day-to-day life, we will help you get there faster than you ever thought possible while having fun doing it! The benefits of Martial Arts classes are endless. From confidence and self-esteem to discipline and empowerment, whether you’re enjoying our Kids Martial Arts classes or our Adult programs, you’ll start seeing improvement in mind, body and spirit in only a few short classes. That’s the Code Ninjas way! 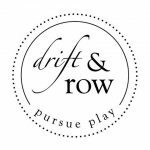 Drift & Row offers a handmade collection of toys and games that support language and learning – created by a Speech Language Pathologist for the pursuit of play. 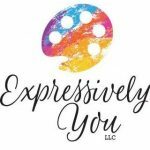 Expressively You offers mailed or live expressive portraits, as well as art lessons like paint nights for businesses, individuals, and pets alike! Popular events to have me include: Weddings, Birthdays, Corporate/Community Events and More! Contact me for pricing! I am Lindsey LaPlant. A full-time artist and owner of Expressively You; offering expressively created people-focused art and entertainment at special celebrations and events of all types. I always aim to inspire joyful events through art in various ways, including Expressive Portraits (like caricatures), Live Event Painting (like wedding and corporate guestbook), Art Workshops (including paint night fundraisers), as well as Portrait Commissions (including pets)! We offer youth sports leagues and clinics for boys and girls ages 3 and up in today’s most popular sports such as flag football, soccer, basketball, baseball and ZIP Lacrosse. In our programs, no child will ever be excluded by a try-out, be made to feel like they aren’t good enough by a league draft, ride the bench for an entire game, or be cut from a team. Yes, we keep score, but we have created a fun way to help kids develop athletic ability, a love of team sports, and an understanding that how you play a game is as important as the score. We don’t just help kids become better athletes, we help them become better people. Age-appropriate instruction emphasizing sportsmanship and healthy competition. All skill levels welcome – No tryouts. No drafts. Everyone plays – every game. “When in Doubt Sit Out” Concussion Safety Policy and education for parents and coaches nationwide. Infinity Martial Arts is Dane County’s fastest growing martial arts organization. With 8 schools in the area, their success is due to a modern curriculum, dynamic & talented instructors, and their passion for working kids and families. There are many options for kids and families to get involved in the martial arts, but we encourage you to come see for yourself why thousands of families have chosen to invest in Infinity Martial Arts. Visit us on the web, or give us a call for an introductory trial and learn, first hand, how we build champions for the game of life. Kicks Unlimited’s mission is to make our community fitter, stronger, and safer through martial arts. While it’s powerful self-defense and fitness for adults, it’s also a character-building program for children, helping them get more focused, respectful, and disciplined. We achieve this through instructor expertise and continued education, with a focus on safety, confidence, cleanliness, support and fun. 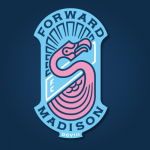 With 3 convenient locations in the Madison area, we offer options that will work for everyone. Our classes are result-focused and there are an array of martial arts activities. Every age is perfectly catered for and the kids love these classes as they perfect their martial arts techniques and learn new ones. Visit our Website, send us an e-mail, or give us a call to enroll in our amazing beginner special and learn first hand how we can give your child even more tools to succeed in life. Life’s a Party-Face Painting provides professional face painting, special effects makeup, glitter tattoos, hair tinsel, henna and air brush tattoos. Adding color and sparkle to any event. The fun isn’t just for the kiddos! Don’t forget the teens and adults! Face paint can amaze everyone with a little imagination and pizazz!